The overarching aim of this project is to identify opportunities to accelerate emissions reductions from Light Goods Vehicles (LGV), the fastest growing source of road transport emissions and a sector of transport about which current knowledge is very limited. Pull together the various insights provided by these approaches in such a way that we can better estimate the potential impacts (UK-wide and area-wide) of a sample of interventions through the application of transport energy and carbon systems modelling, through the use of more informed insights and data inputs into such models about the van sector than has hitherto been possible. 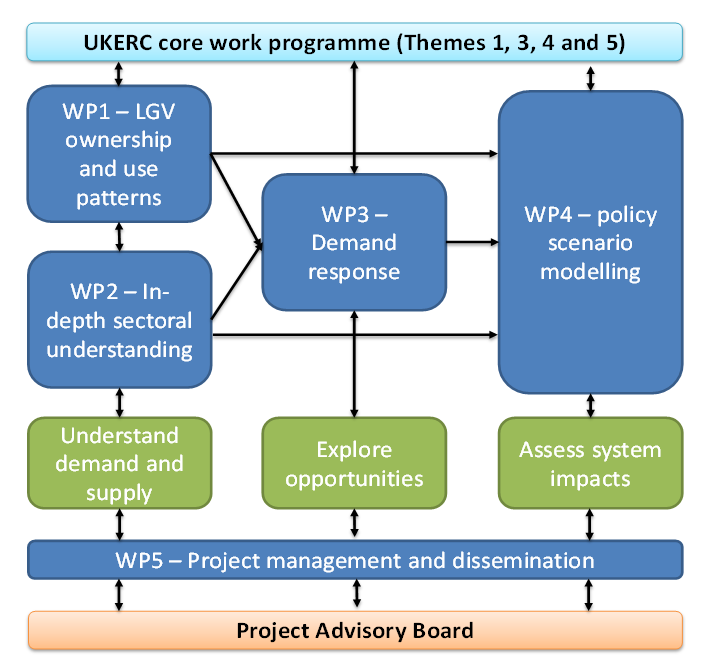 Christian is leading WP4 that addresses objective 4 by modelling the potential impacts UK-wide of the most promising interventions identified in the previous WPs through the application of a whole systems transport, energy and air pollution model, the UK Transport Energy and Air pollution Model (UK TEAM), which is being developed as part of the UKERC III core research programme.